I don't really buy this article- Sharon and Ozzy has survived so many years in the music industry together. If they were going to have marital issues, I feel like it would have been back when Ozzy was a young rock star and there were groupies. Sharon survived cancer, and if you watched their show on MTV, you know what we all saw- that the idea of Sharon not making it was life shattering for Ozzy. I am a fan of Sharon's, she says things directly and has a great outlook. Furthermore, let's say for arguments sake that Sharon is actually having an affair with her makeup artist or whoever. How do you know that's not part of some agreement the two of them have? Focus on the fact that their marriage has outlived many things that would have torn a weaker union apart. Sharon Osbourne admits her husband Ozzy doesn’t trust her – and he believes she’s having an affair with her make-up artist. The wife and manager of the Prince of Darkness has employed the man for many years and regards him as a close friend. 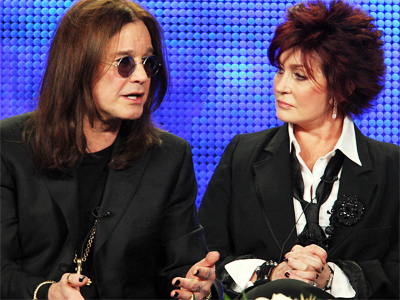 She says he’s gay and she’s tried to prove it to Ozzy – but the singer just won’t believe her. She tells how she arranged a meeting between Ozzy and the make-up man and his other half, but even that didn’t allay the Black Sabbath frontman’s suspicions.